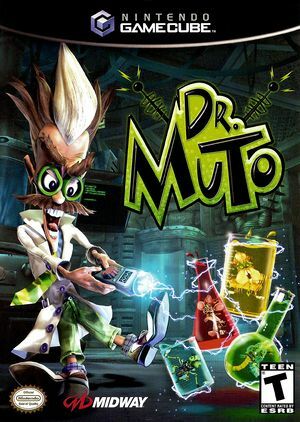 Dr. Muto, a scientist, had built a machine that would provide free, renewable energy for his home planet of Midway. However, the machine was sabotaged by Muto's rival, Dr Burnital, and malfunctioned, destroying the planet. Dr. Muto survived, living on a chunk of the destroyed planet, and now plans to build a machine, the Genitor 9000, that will rebuild Midway. However, the pieces necessary for the assembly and running of the machine are scattered across a number of planets and must be collected. There are 4250 isotopes and 86 bits of terra and they are all needed to complete the game. The graph below charts the compatibility with Dr. Muto since Dolphin's 2.0 release, listing revisions only where a compatibility change occurred. This page was last edited on 14 January 2018, at 12:50.